Gentian at Drawing With A Squirrel recently posted a delicious review of Faber-Castell Aquarelle sticks, and it reminded me that once upon a time, I had put together a comparison/review of water-soluble mediums lately that I never got around to posting. I don’t know what it is about water-soluble mediums that I like so much. There’s something satisfying about the visual transformation from dry to wet, and the unpredictability of applying these mediums wet just turns me on, in an artsy sort of way. From watercolor pencils to water-soluble pastels, these tools are extremely versatile– a handy quality for any artist. I decided that a good basis for this comparison would be, ahem, “regular” watercolors. My very first recommendation for anyone wanting to work with water-soluble art supplies is to play around with watercolors first. They’re of a much higher quality, and they offer a subtlety and spontaneity that pencils and crayons simply can’t provide. Water-soluble pencils and crayons should not be treated as an “easier” option for those who have difficulty with watercolors– they should be an extension of the skill and instinct that only gets built by using watercolors. I use Schmincke Horadam Aquarelles. They’re extremely pigmented, have a thick, consistent texture, and a superb range of colors. I only use the pans, so I can’t say how the tube paints differ (though Handprint Review found them to be syrupy and sometimes separated). 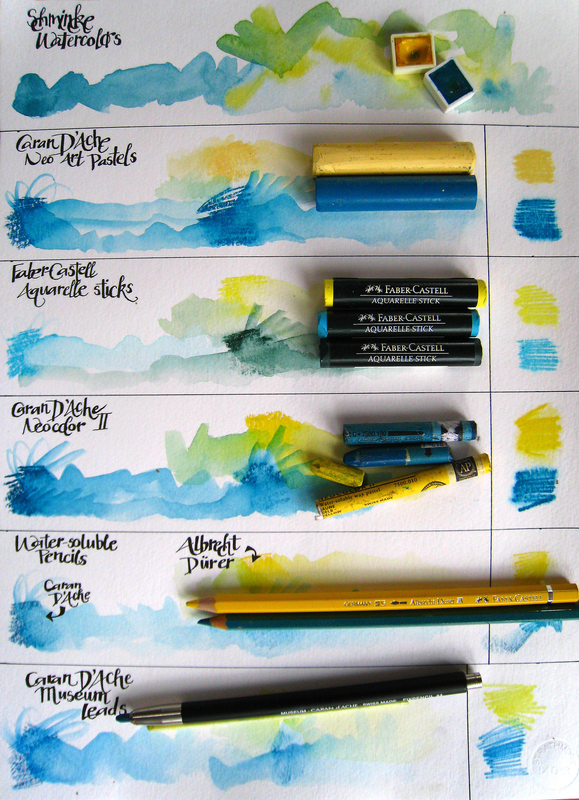 I’m hoping to try Daniel Smith watercolors, which have been excellently reviewed. The downside is that they don’t have the portability of pencils or crayons– although, with 24-pan travel palette, I’ve never had a problem taking them with me. The other thing to remember is that they require practice (doesn’t everything?). If you’re not very patient, this may be a downside for you as well. 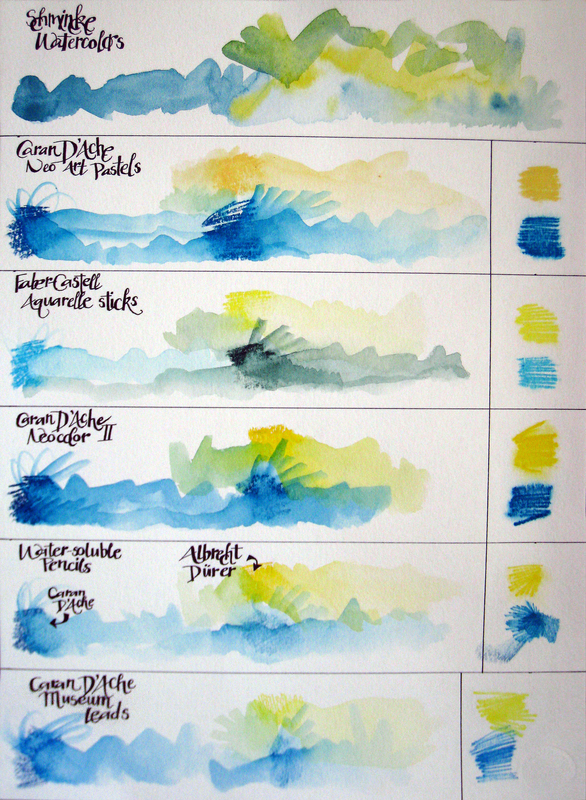 Varying the amount of water can lead to a smoother or a rougher application, but because they don’t apply dry, traditional watercolors are not the best for mixed-media, collage techniques. 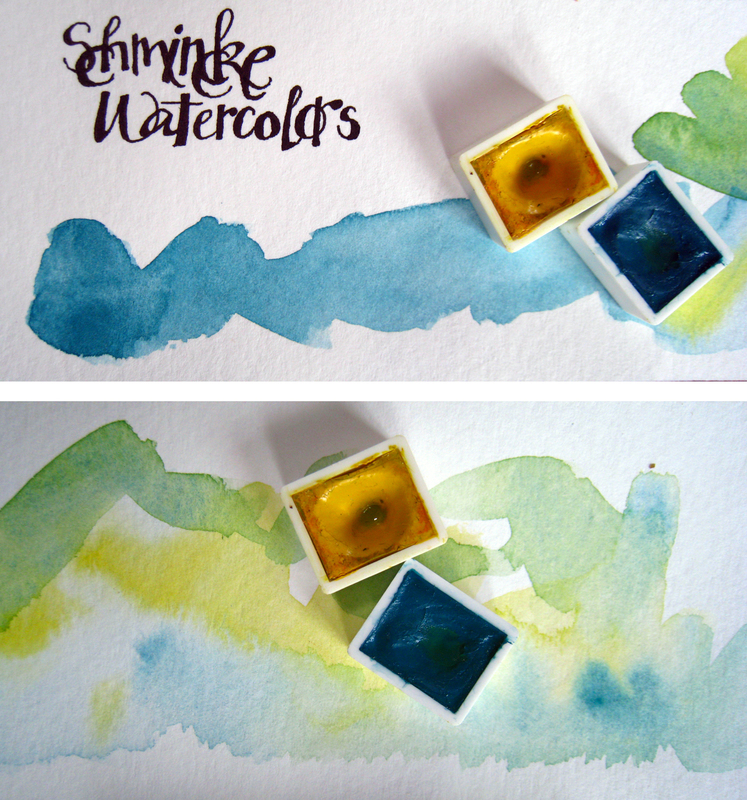 Watercolors have excellent transparency, so they can be beautiful layered in delicate glazes. However, they’re not permanent– they can be “re-worked” with a wet brush after they’ve dried. Also, you can’t use lighter watercolors to “cover up” darker layers underneath. So, consider layering and opacity when you choose to use traditional watercolors. I won’t expand too much on watercolor technique– maybe in another post. But for the purposes of this comparison, watercolors rock. And none of these other products have as rich a tradition as watercolors, as Wikipedia’s article will attest. 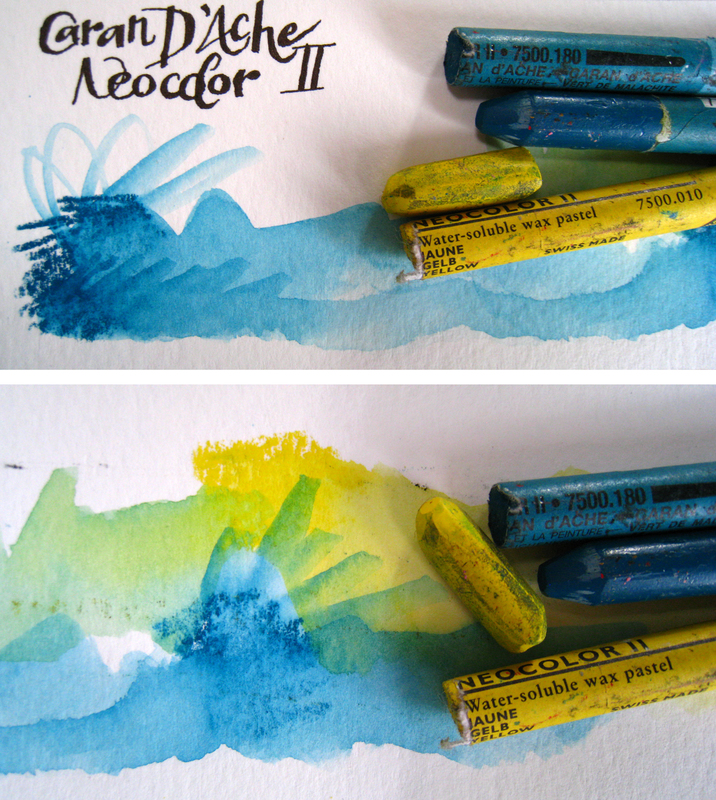 These fat, chunky pastels are the lesser-known older sibling to Caran D’Ache Neocolor II pastels (reviewed below). 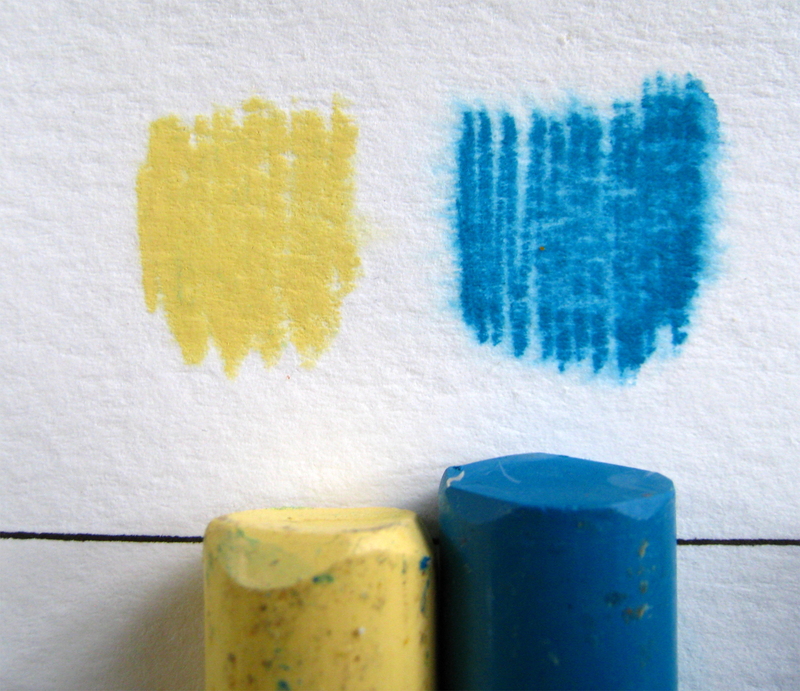 The big difference is that these pastels are wax-based, not oil-based like the Neocolor II’s. This means that they “spread” much more smoothly than the Neocolor II’s. Applied to a wet page, they become much softer, but still opaque. The NeoArt pastels will last forever, and are definitely worth the initial cost (about $3 a pastel). The downside to such a chunky pastel is that they’re not great for detail work– but excellent for large work. One other thing to note: these pastels are not available in a wide color range– only 60 colors, maybe half of which are widely available on US websites. Unfortunately, these are discontinued, so I won’t spend too long reviewing them. (However, they’re still available on Cheap Joe’s Clearance section, so I thought they would be worth including). 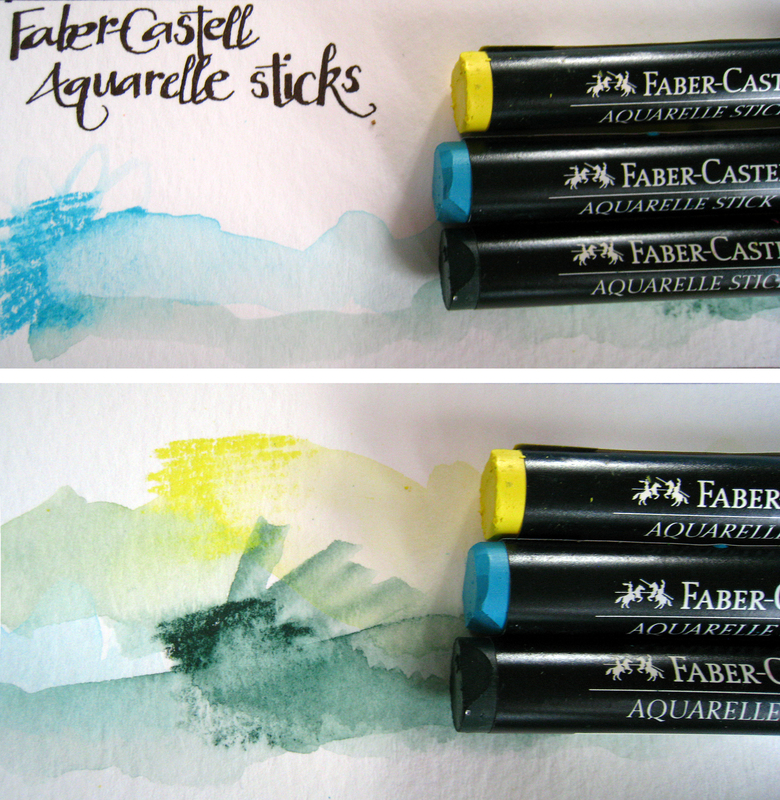 As a pastel, they’re most comparable to the NeoArt pastels– very chunky and bright, though it seems like the Aquarelles are slightly less pigmented than the NeoArt pastels (though this depends on the color– I found the lighter colors to be much less pigmented than darker ones). I can’t for the life of me find out whether these are oil-based or wax-based. I’m going to guess wax, based on their similarity in performance to the NeoArt pastels. Still, they apply more like crayons than pastels– i.e. their consistency is waxier than the NeoArt. 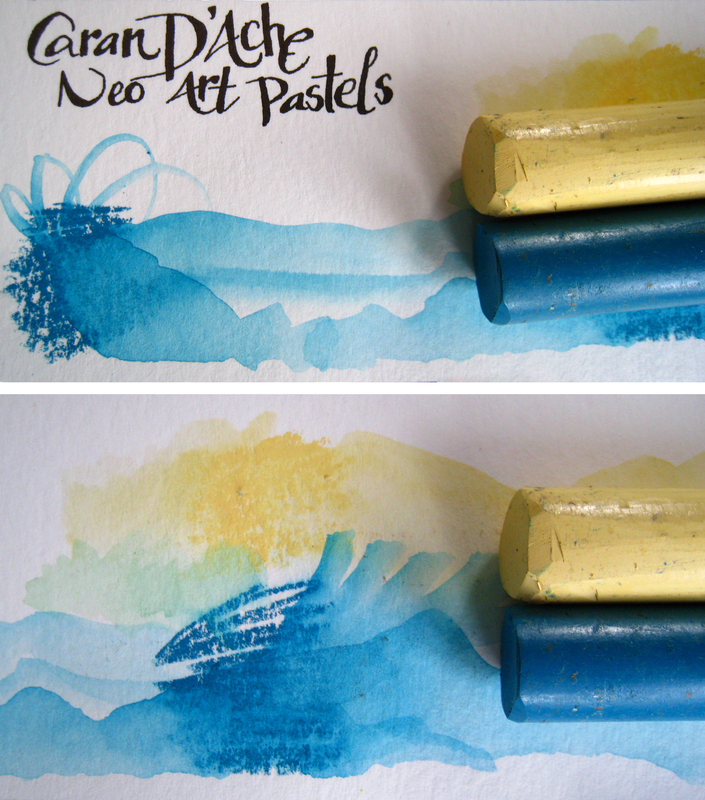 I think they’re more useful wet than dry– they dissolve easily, and are more transparent than NeoArt Pastels. They can be layered and blended quite easily. Applied wet, they don’t transform quite as much as NeoArt pastels. However, they do become brighter and smoother. Albert at Lung Sketching Scrolls has done extensive reviews on these pastels, so I’ll leave the demonstrations to him. The product name describes them well– they look like crayons, feel like crayons, but are softer, extremely pigmented, and versatile in application. The fact that they’re oil-based makes them harder to writer over than the wax-based NeoArt pastels, so keep that in mind if you like to art journal. They’re available in a super-impressive 128-color range, including metallics. 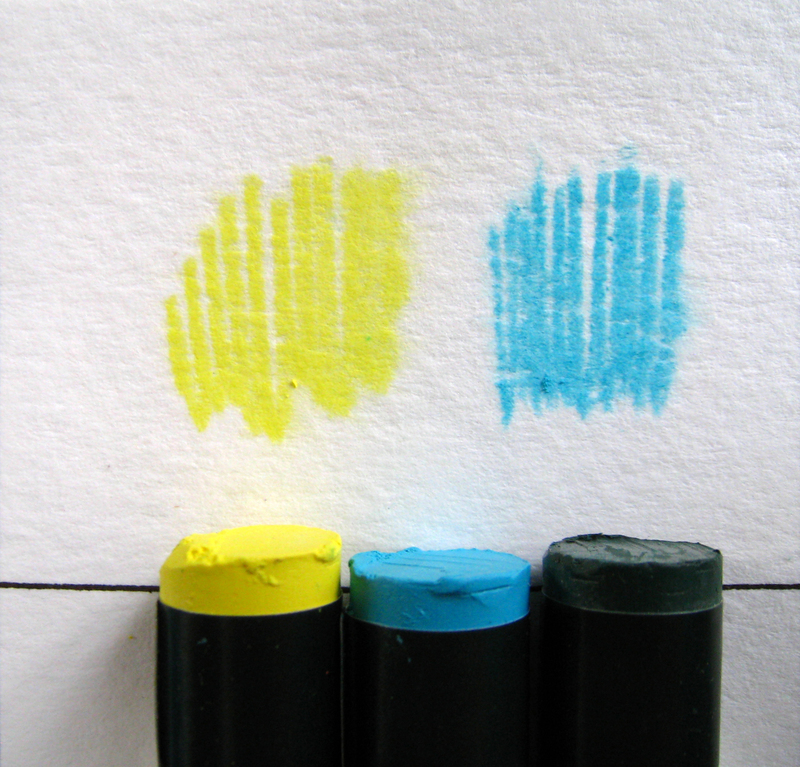 Unlike some of the other products reviewed here, the Neocolor II’s don’t become brighter with water; they’re equally pigmented whether wet or dry. And just to emphasize, the Neocolor II’s are extremely pigmented. 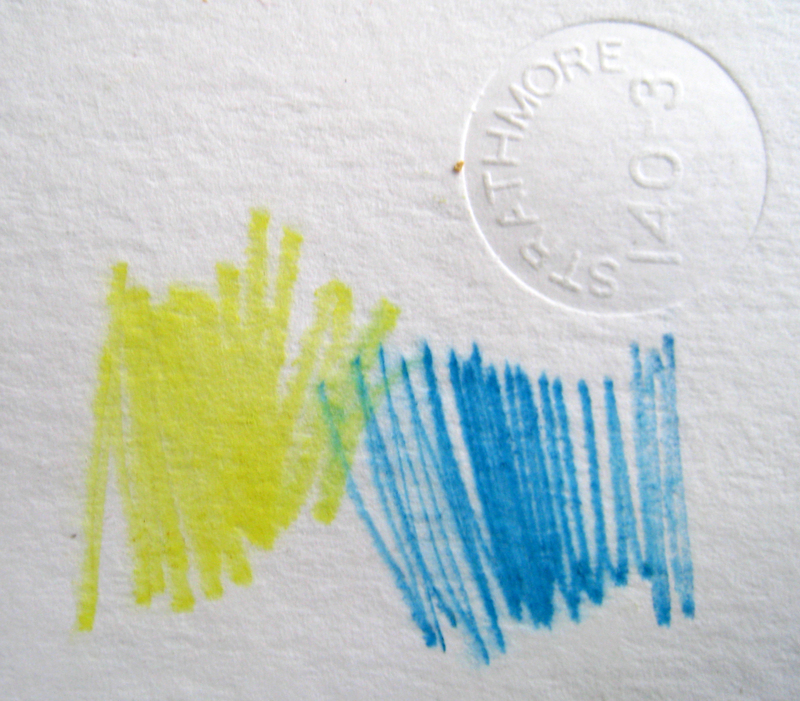 For some reason, I find that I use a wet brush on the crayon more often than applying them directly to the page. They apply a little like gouache– thick and opaque. Much of the time, the pieces that I create with Neocolor II’s end up looking like oil-paintings– they’re great, creamy texture, and blend beautifully. I would recommend blending rather than layering them, due to their opacity. 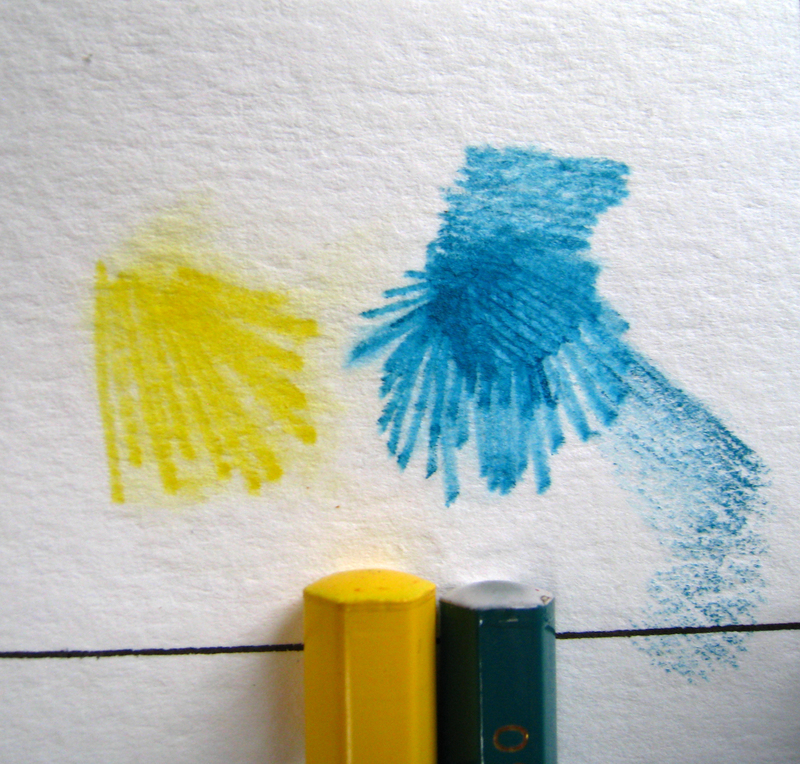 Applied to a wet page, the Neocolor II’s become incredibly soft–perhaps as much as the NeoArt wax pastels. It seems like this product is one of the most popular with artists– I’ve seen some incredible techniques with these things, from melting them on quilts to scraping and engraving with them. Watercolor pencils have the most similar application to traditional watercolors– very transparent and blendable. However, they often lack the pigmentation of traditional watercolors, or they fail to apply well as regular colored pencils. I’ve found two brands of watercolor pencils with great pigmentation and excellent application wet or dry: the Faber-Castell Albrecht Durer and Caran D’Ache Supracolor Soft Aquarelle pencils. 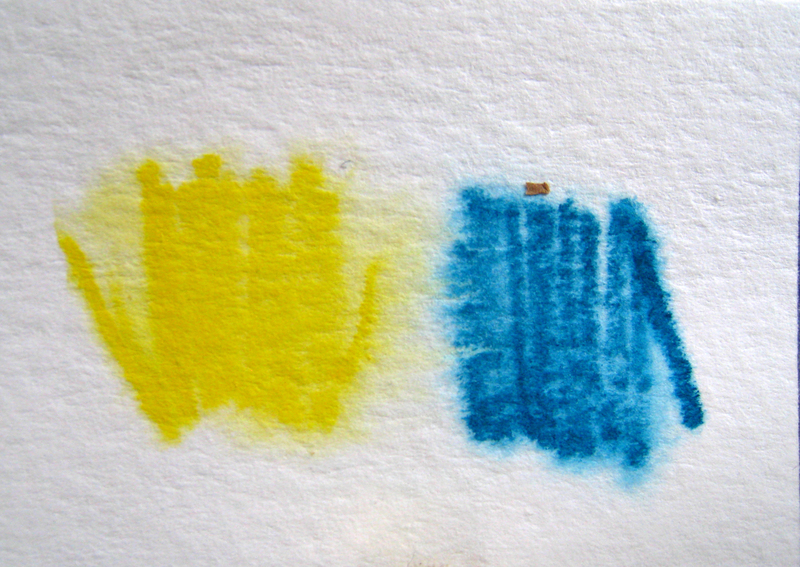 I think I prefer the Caran D’ache only slightly; both are very smooth and pigmented. Unfortunately, the Supracolors have only an 80-color range, compared to Albrecht Durer’s 120-color range. The great thing about watercolor pencils is that they can be used for much more detailed work than pastels. You might even be able to aim for (gasp!) realism. The most common technique is to lightly color a drawing, then brush over it with water. More densely colored penciling will create more pigmented washes. But however you use them, keep in mind that their transparency is comparable to traditional watercolors– so you can’t “hide” a layer by coloring over it. This will just create a wash. 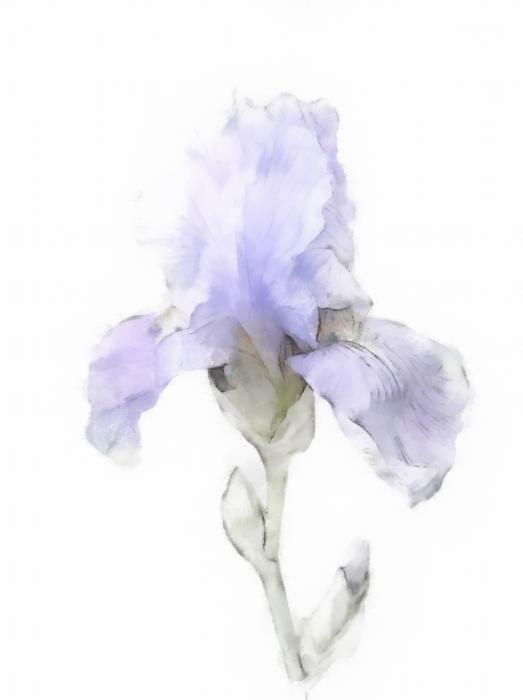 I don’t really understand the technique of picking up color from the tip of the pencil with a brush– you might as well use regular watercolors. I suppose it would do in a pinch, if watercolors aren’t available, though. One useful thing about watercolor pencils is that, after drawing, wetting the drawing, and waiting for it to dry, you can go back and add even more subtlety with the dry pencil, using it like a regular colored pencil. 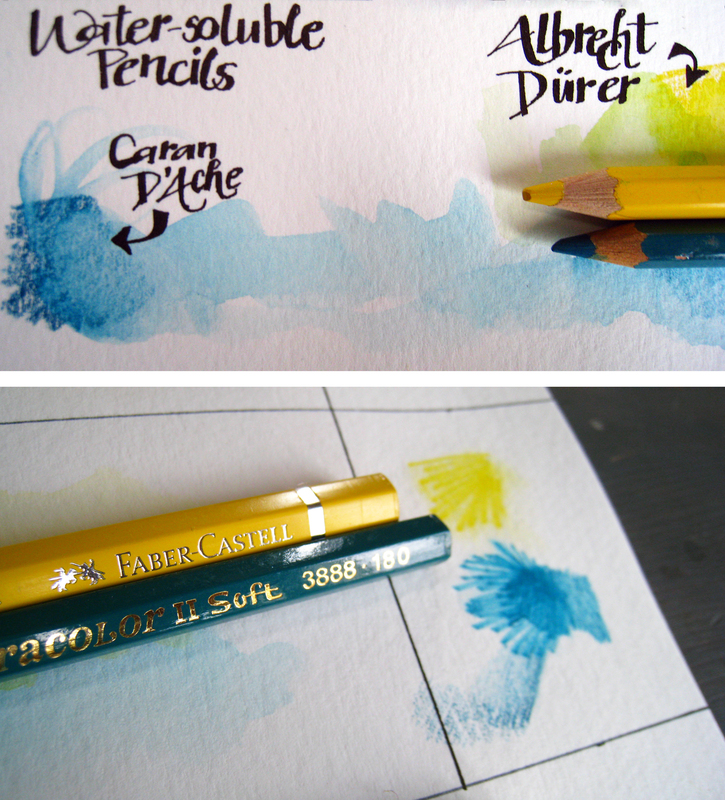 Has it become apparent that I love Caran D’Ache products yet? They’re smoothest, most pigmented, generally lightfast, and…well, you get the picture. However, this means that they’re going to be more available online and in art supply stores, not in the “art supply” aisle of regular stores. Anyways. I haven’t heard much about Museum Leads in the artist’s blogosphere– I received these as a birthday gift from my mother. These are 3.8 mm colored leads (to be used with Caran D’Ache’s Fixpencil 44 leadholder) which become drastically more intense when wetted. They dissolve instantly with water, and won’t leave behind any of the texture that the pastels sometimes will. Sure, they’re leads. They offer the precision of a colored pencil, and they can be applied like a colored pencil… but that’s not where this product shines. Despite only a color range of 18, the intensity of these pigments plus the unique shades offered allow for endless combinations and possibilities. This is the only water-soluble medium in this review that is permanent when dry. At first, this was irksome because I kept thinking they would lift and blend like watercolors. However, I’ve found that the permanence actually allows for a whole new range of uses. The Museum Leads are highly pigmented, but also very transparent– and because they’re permanent when dry, you can create amazing glaze techniques. Instead of blending two shades, you would apply one, let it dry, and apply the second color overtop. The result is an amazing, luminous color, like stained glass. I’ve also broken off the last half-inch of every lead, and rolled them onto a wet page with my fingers– super cool abstract results. I would suggest downloading the brochure from the Caran D’Ache website. It contains some amazing images of artists working with this medium. I have yet to try putting them on a page and misting them with water… but then again, I can’t afford to replace them every time I break them apart. However, taking a small section and dissolving it in water creates a permanent wash that can be applied traditionally with a brush. I’m still experimenting with these, and I promise future posts with demonstrations! Phew. This review kind of burnt me out on art supplies… I may have to return to politics and farming for a few posts after this. 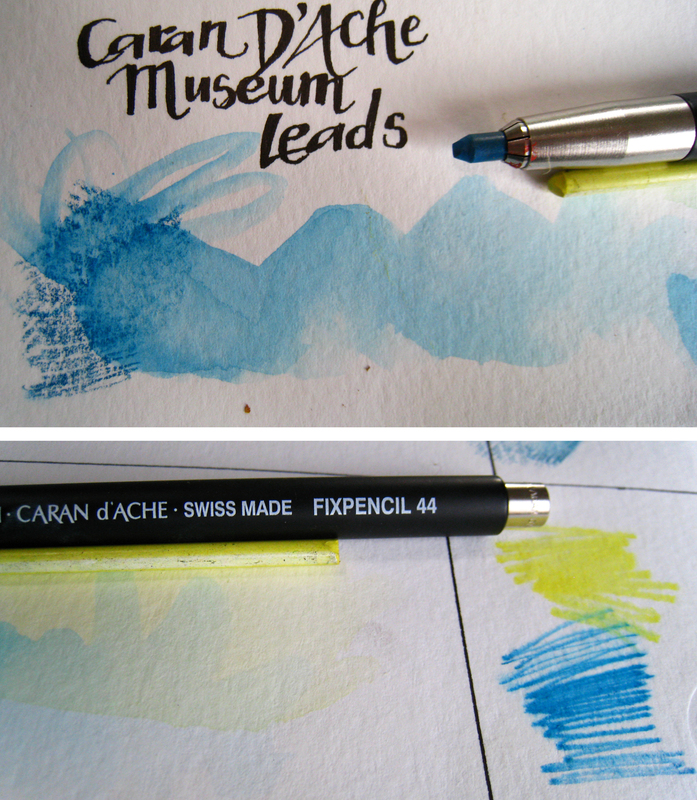 The big summary is: If you desire precision, go for Museum Leads or Watercolor Pencils. For subtlety, use traditional watercolor, or watercolor pencils. All of the pastels, both wax- and oil-based, are excellent for art journaling and collage techniques. Their opacity definitely creates a different style, though, so if you’re looking for transparency in glazing and washing, I recommend watercolor pencils, museum leads, or traditional watercolors. Now gather ye spray bottle, brushes and paper, and be off! Experiment!